UC Browser provides you a fast and smooth Web surfing experience. An adaptable configuration helps you adjust your way of browsing, allowing you to reduce data costs. Supports Android, iOS, Blackberry, and Windows Mobile. Reddit Enhancement Suite (334 KB) v4.3.0 is a Google Chrome extension that enhances your Reddit browsing experience. It includes features such as, infinite scrolling, inline image viewer, keyboard navigation and more. Text Mode (62.46 KB) v0.4.1 is a Chrome browser extension that will de-clutter any website. All pages load in text form (no images, animation or video) so content is easier to scan and read. Open Web Analytics v1.5.4 is an open source, self-hosted, web analytics software that you can use to track and analyze how people use your websites and applications. Polarity (41.16 MB) v4.2.0 is a brand new web browser based on the Chromium engine. The browser features built-in ad-blocking and sandboxing to keep you safe from malicious websites. Supports Windows Vista, 7, or 8. Orbit Downloader (5.3 MB) v4.1.1.18 is a free download manager that allows you to easily download content from sites like YouTube, MySpace and other social multimedia platforms. Supports Windows XP and above. Empty Cache Button 2.0 is a Firefox add-on that lets you quickly empty your browser cache. Features include a single button for four types of cache (Memory, Disk, Offline, Favicon), optional auto reload of tabs, keyboard (F9) shortcut, etc. Freeware. Requires Firefox browser. Pale Moon v15.1 is an optimized Firefox browser clone. Optimized specifically for the Windows Operating System, the browser will import all your settings, bookmarks, extensions (add-ons), etc. using less memory, and providing greater speed while browsing. Freeware for all Windows. Pinvolve is an easy to use Facebook application that helps bridge your Facebook and Pinterest presence. Just download the app to your fan/business page and start adding your pins to Facebook for instant sharing and distribution of your content. Sizer 3.34 (153 KB) is a simple to use utility that allows you to resize any window to a predefined size. 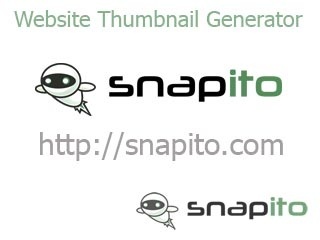 Use it when designing webpages to see how the page will look in smaller or larger windows. Freeware for Windows Vista/ 7. Page Rank Checker is a Firefox add-on. Once installed you can get the Google Page Rank information of a web page by looking at the value located at the bottom right corner of your browser. Freeware. Required Firefox browser. New Tab King 5.1 is a Firefox add-on that allows immediate access to the sites you use the most, recently closed tabs, and suggested sites to explore instead of opening a blank tab. Choose a theme and personalize your "New Tab" look. Freeware. Requires Firefox. 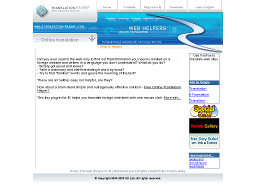 Online Translation Helper (602 KB) is an easy way to translate any foreign web-site. Becomes a part of Internet Explorer. Translate any web-site with one mouse-click! Requires MSIE 5+. Freeware for all Windows versions.